Rev. Dr. Edward and Monica Naumann serve the Lord in South Asia. In his role as a theological educator, Edward works with local church leaders to train and form new pastors. He also provides ongoing education for those pastors already serving the Church. Through the relationships formed, Edward and Monica share the Gospel with the people in the communities in which they serve and live. Edward was born in Bellshill, Scotland and grew up in Middlesex, England. He received a master’s degree in Classics from The University of Edinburgh, Scotland. He received his Master of Divinity from Concordia Theological Seminary, Fort Wayne. He also earned a master’s degree and a doctorate of philosophy degree in Greek and Latin from The Catholic University of America, Washington, D.C. Before becoming a missionary, Edward served as an assistant pastor at Redeemer Lutheran Church, Oakmont, Pa. (2013-2015). Monica is a native of Milwaukee, Wis. She received a bachelor’s degree in nursing from Valparaiso University, Valparaiso, Ind., and a master’s degree in nursing from The Catholic University of America, Washington, D.C. Before serving in South Asia, Monica was a Family Nurse Practitioner (2008-2015). Her hobbies include quilting, sewing, gardening and cooking. 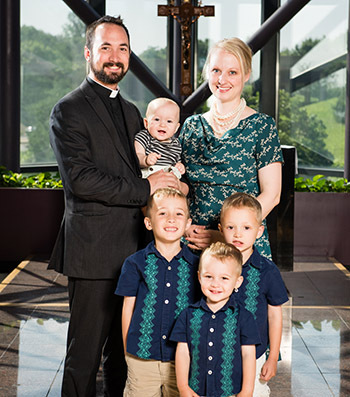 Edward and Monica have four boys – Martin, William, Charles and Robert – who join them on the mission field. Please pray for the Naumanns as they transition to living and serving in South Asia, learning the new culture and language. Pray for God’s provision of a good education for the boys. Pray that the Word of God bears abundant fruit as Edward proclaims it through his teaching. 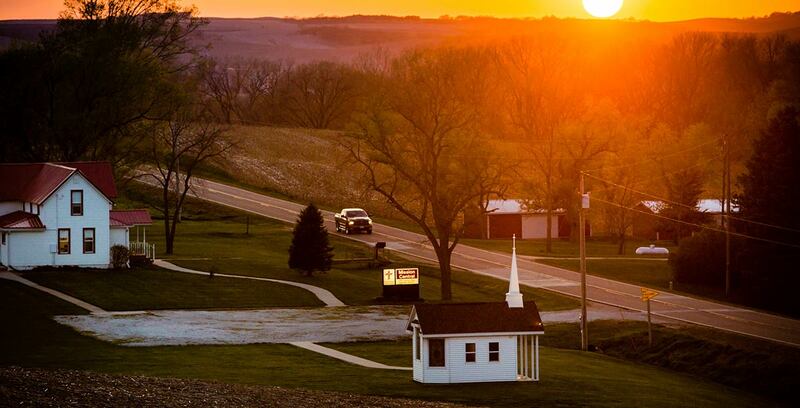 Pray the hearts of people here in the United States are moved to pray for and to financially support the Naumanns so they can “go with” this family on their journey of faith. Let us give thanks to God that this family is serving His children in this part of the world.